From mountainous jungles to low-lying dry forests, people are utilizing and accessing the forests of the Greater Mekong like never before. As recently as the early 70s, forests blanketed three quarters of the Greater Mekong. The last 30 years have seen more than 30% of that forest cover disappear. 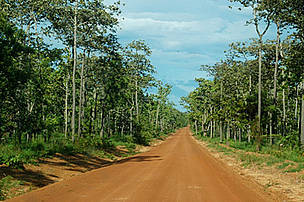 Road through the dry forest ecoregion in Cambodia. 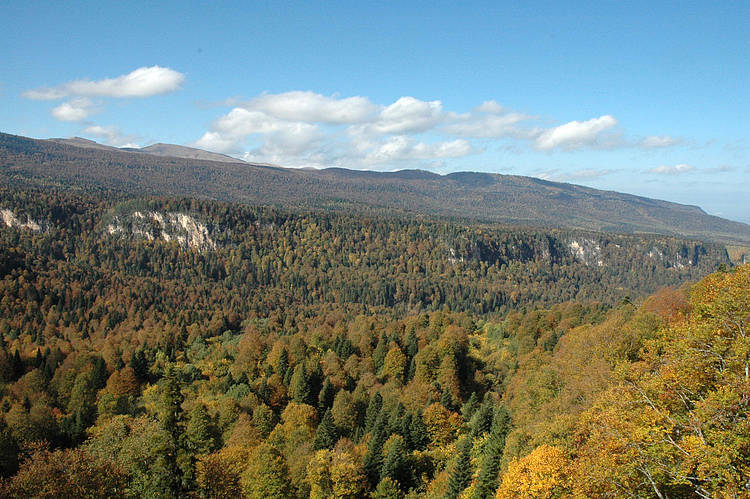 Healthy forests are necessary to virtually all aspects of modern life. 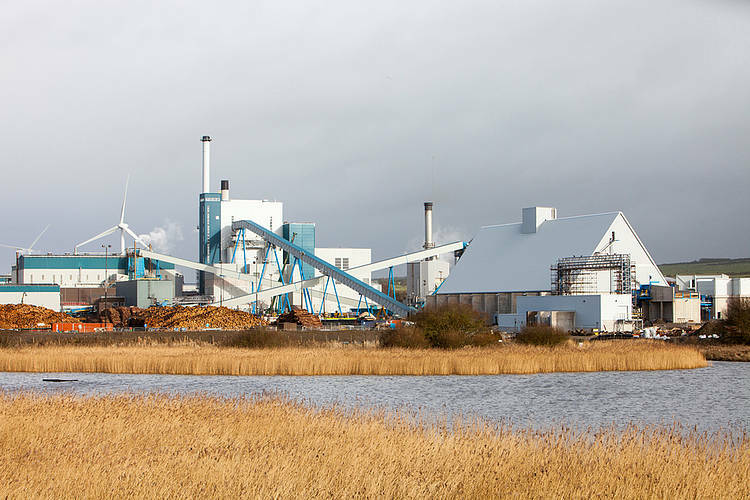 They store carbon, help protect communities and infrastructure from the impacts of drought and flash-floods, supply clean water and food, livelihoods, materials used in construction, trade, and provide a whole host of other ecological services. 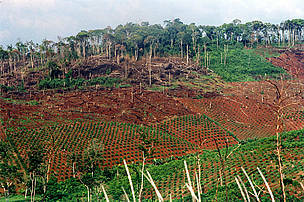 The forests of the Greater Mekong are rich in natural resources that most other parts of the world have already lost. This makes them an attractive investment for governments seeking to provide for the development needs of their countries, particularly China, and natural resource-based industries keen to meet growing market demand. However, investments have often been short term and exploitative-leaving behind fragmented and degraded forests and watersheds. Only with a carefully managed approach can the delivery of valuable goods and services be sustained over time. Forests landscapes and river systems in the Greater Mekong region are becoming increasingly fragmented. The remaining intact areas are increasingly smaller and isolated inside areas that have been heavily transformed. This can make it difficult for some animals to find suitable habitat or to follow usual migration routes. It can also increase inbreeding, which in turn can increase the vulnerability of species to disease and other pressures. When habitats are isolated, species also become more vulnerable to climate change, as their ability to move to areas with more favourable conditions becomes increasingly limited. Forests are the largest storehouse of carbon after the oceans. However, when forests are lost because of logging and land conversion, they release large quantities of CO2 and other greenhouse gases into the atmosphere, which contribute to climate change. At the same time, deforestation weakens the ability of ecosystems and human communities to withstand the impacts of climate change. As forest condition declines, so does forests’ ability to moderate local weather patterns and water flows—both key services provided by the region’s forests. 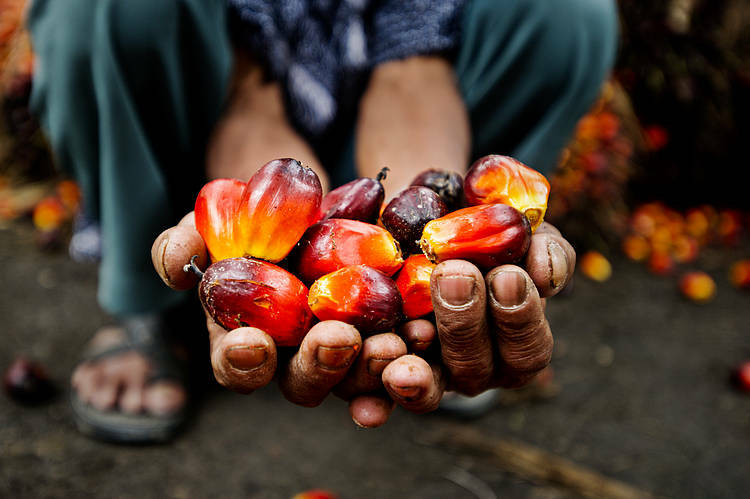 What is driving deforestation in the Greater Mekong region? The ultimate drivers of forest degradation and loss are population growth, uncoordinated land-use planning, poor law enforcement, increasing market demand, and policies that promote short-term economic growth. 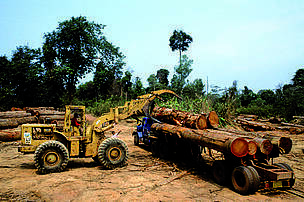 On the ground, illegal and unsustainable logging, and the conversion of forests for plantations and infrastructure are the primary causes of deforestation and biodiversity loss in the Greater Mekong. Forest conversion is often linked to the construction of infrastructure projects like roads, bridges, and dams which both directly result in forest loss and also facilitate easier access to more forested areas. This usually leads to the familiar patterns of increased fragmentation of natural spaces, their degradation, wildlife poaching, and new human settlements. 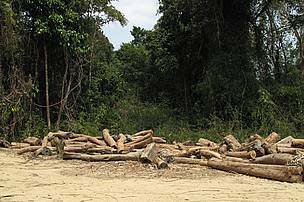 What is WWF doing about deforestation in the Greater Mekong region? The Greater Mekong is one of 11 deforestation hot spots that will account for over 80% of forest loss globally by 2030. If immediate action is not taken, the region could lose an additional 5 - 30 million hectares of resource-rich forest in the coming decades.